further scope into fraud prevention. The Midlands Fraud Forum has commissioned this work using students from the University of Derby. The aim of this project was to engage one or two undergraduate students to conduct a literature review for the benefit of the Midlands Fraud Forum (MFF). The topic area of cybercrime was defined broadly but in connection with fraud/financial/economic crime to foster relevance for the membership. Practitioners are often very engaged in the business of moving from one operation to the next. Many may not be aware of literature on selected topics associated with their interests. Awareness and engagement with academic research may be even more difficult for the practitioner audience given chronic time management issues to identify, retrieve and read appropriate works. This paper considers the challenges and opportunities that exist in England and Wales for the use of private prosecutions for Fraud. It considers the need for sanctions against fraudsters: looks at the prosecution landscape as it has evolved, especially during the 21st century: considers the legal basis for private prosecution and gives a brief history of its extent. The advantages and disadvantages associated with private prosecution are considered and recommendations made on the changes needed before there could be significant developments in the use of private prosecutions. 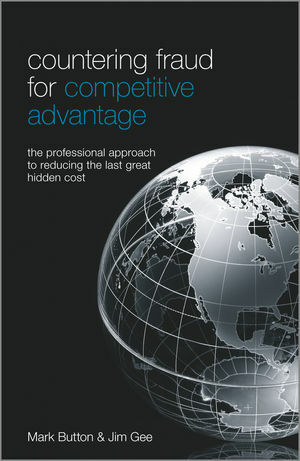 Substantially reduce the largely hidden cost of fraud, and reap a new competitive advantage. Organisations are losing profits to fraud. This book outlines a comprehensive approach to reducing financial crime and helping return some of the revenue lost to the cost of fraud. As the title suggests, Countering Fraud for Competitive Advantage presents a compelling business case for investing in anti-fraud measures to counter financial crime. It looks at the ways of reaping a new competitive advantage by substantially reducing the hidden cost of fraud. Despite its increase and capture of the news headlines, corporate fraud is largely ignored by most organisations. Fraud is responsible for losses of up to 9% of revenuesundefinedsometimes more. Yet, most organisations don't believe they have a problem and don't always measure fraud losses. This highlights an area for capturing a competitive advantageundefinedwith the right counter-fraud strategy, massive losses due to the cost of fraud can be reduced for a fraction of the return. The authors have close links with the Counter Fraud Professional Accreditation Board: Jim Gee is a world–renowned expert in the field, and has advised private companies and governments from more than 35 countries. Mark Button is Director of the leading Centre for Counter Fraud Studies, Portsmouth University, U.K. Aimed at a wide business community and based on solid research, it is the only book to put forward an evidence-based model for combating corporate fraud and financial crime.